How hard is log home maintenance? As a log home company this is one of the most common questions we are asked. This is also the issue that people are the most misinformed about. So here is our Top Ten Things to Know About Log Home Maintenance. 1). Amount of Extra Maintenance a log home requires. We have lived in several log homes over the years, so let us outline the extra time it has cost us per year. a. After the first 12 months a new log home should be gone over for any air leakage areas. The vast majority of any shrinkage that your home will experience happens within the first 12 months. As things settle and adapt to their new environment it is common to have areas that need some spray foam insulation, caulking, or back rod installed. b. Log homes need about one day per year of your time to visually check it for any thing damaging the logs, i.e. plants and insects touching it, water exposure, or weathering to logs, and to caulk checks in the logs. A check in a log is the little cracks that appear in the log itself. All logs check some, no matter what the log species. So it is a good idea to fill any of these cracks with caulking such as Log Builder. Other caulking works, but does not adhere to the logs as well over time. c. Log Homes require about 2-4 days every 4-5 years to re-stain the outside, just depending on the size of the home. Many times the North and West side of the home will need re-coated every 3-4 years and the East and South sides every 5-7 years if a high quality sealant is used. Log homes are NOT hard to care for. They require perhaps a few hours per year of the homeowner’s time. That is all the extra time a log home needs. 2). Vegetation against a log home is disastrous. Keeping a log home in good condition begins with laying out your landscaping. A log home death sentence is to place plants, trees, shrubs, and flowers where they touch the log home. It is best to allow at least 24 inches from the foundation of the home to the trees and shrubs. Flower gardens near the base of the home are typically no problem given that the plants do not touch the logs. Vegetation close to the home provides a safe haven for insect life. The insects are given even more invitation to attack the logs when there is ample cover. Plan ahead when planting shrubs and trees. Think about how far the branches will reach towards the home. Allow extra room for the trees and bushes to grow and expand and still not touch the home. More moisture is held to the home when there is plant life against it. Also the branches and leaves rubbing against the logs shorten the life of your home sealant. 3). Chinking is not necessary for either our handcrafted log homes or milled homes. 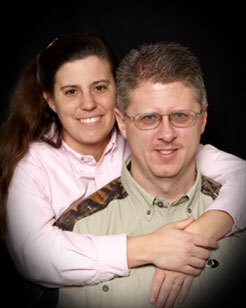 It is fine to chink a log home if that is the look you want to obtain. To help prevent air leakage between the row of logs we employ things such as double rows of foam tape between the rows of milled logs, softrod gaskets or P gaskets between the rows of handcrafted logs, extra pinning and bolting of the logs per row, etc. If you are an owner of an existing log home that seems to leak air all the time then it could be chinking is the only option to keep the weather out. Some of the older log homes may not have any insulation of any type between the rows of logs and in the corners. Corners are one of the hardest places to seal a cabin and make it weather tight. I have stood and looked at the corners in a log home and been able to see light through the corners. One customer who visited our model home in Ennis, Montana, used to own a log home. She said that she could walk around her log home on a windy day with a candle and the draft could blow the candle out. Even adding rows of caulking between the rows of logs helps to seal out any air that may be penetrating into the home. Now let’s look at the handcrafted log homes. With a Scandinavian Full Scribed handcrafted log home the logs are varying in thickness. We have very specific methods of making them weather tight. The log shell is fully assembled in the yard. All of the door and window opening, roof pitch cuts, corners, and log stack cuts are preformed by our master craftsmen. We use the Scandinavian Full Scribe style of craftsmanship between the logs. When the logs are examined on the ends, they have a slight Swedish Cope curve to them. Micrometers, precision tools, and other technical instruments are used to measure the logs and fashion it for precise placement in a wall. There are no machine cuts on our handcrafted log homes. To help keep the logs tight we use a unique interval of pinning and bolting the logs into place. This placement is detailed in the drawings. On the underside of each log we install softrod backer rod insulating gaskets along the edge of each scribe channel and in the corners. The corners of our handcrafted log homes are either full saddle notched or diamond cut pattern, depending on the customer choice. The saddle notch cuts the bottoms of the logs. The diamond cut pattern cuts the tops and bottoms of the logs. Both styles are lovely. Personally I feel the diamond cut pattern adds just a little more character to a home. Both corner styles leave the home very weather tight. Door and window openings are cut into the home and recessed to receive framing and finish material. Ledge cuts, tuck cuts, and other specialty techniques are used to prepare the logs for doors, windows, trim, framing lumber, etc. The logs are also pre-notched for interior framed walls. A channel is cut into the logs so the framing lumber and drywall or wood paneling is just slid into the channel. To further prepare the logs, all log surfaces are hand sanded. 4). Insects are another threat to most log homes. The Western Red Cedar is the only log species that has natural oils that repel insects. For international shipment of a handcrafted log home to some countries, Western Red Cedar is the only log species that can be used. By keeping plant life away from the logs (as mentioned in #2) insects are greatly deterred. The two main insects that come to my mind, that threaten log homes are carpenter ants and carpenter bees. If insects are allowed to infest a house woodpeckers can even be attracted. The very best thing to do is have an exterminator come out twice per year (spring and fall) or whenever insect activity is noticed. When we had a log home on the East Coast for 4 or 5 years, there were only two times they had to spray for insects. Here in Montana we have seen much less insect activity, but regularly having a home checked is smart. Visually keep a check every few months on your home as well. 5). Choosing an exterior log sealant. Choosing a log home sealant will also dictate how much time you spend each year maintaining your log home. If a sealant says that it is only good for 12 months, then be assured it might not even last that long. If a sealant states it is good for 4 or 5 years, if applied correctly, then it will probably have that long of a life. In high wind or excessive snow areas such as Sun Valley, Idaho or even here in Gallatin County, Montana is becomes even more important to select a top quality sealant. When applying the stain we have found it best to brush the stain on and to use expensive brushes. The Wooster stain brushes are the best we have ever found. A good thick stain brush is worth the investment. When brushing applying sealant around doorways and corners, do it carefully. Be sure you cover each surface. Begin at the top of the wall and work downward. In large areas be sure to use long sweeps and get the sealant applied evenly. Stand back and look at the areas as you area applying the coats. It is not hard to do, but remember the sealant is the final touch to your home. Even though staining is not a ‘hard’ job, it still requires attention to detail. Allowing teens or inexperienced workers or family to stain a home without careful supervision is not wise. One of our customers in Northern Idaho paid their teens to stain the home. After one side of the home, the parents ended up hiring a professional to come and hand sand the areas that the teens had done and redoing it. 6). Using overhangs to your advantage. Overhangs are a good idea on all homes. Log homes typically do best with overhangs of at least 24 inches. The wider the overhang the more protection the roof provides the logs. Wide overhangs also provide protection for the exposed log corners. Some log homes have even wider overhangs. They also make a home look even more rustic and enrich the overall appeal of the home. 7). Covered Porches also help log home maintenance. Instead of installing a deck, consider adding a roof to it. Covered porches provide great outside spaces for log homes. Covered porches provide more shelter to the logs from wind and weather. 8). Exposed log ends are not a good idea. Some log homes have ridge beams that protrude beyond the roof line. Though they do look nice, these areas are prime candidates for weather damage. It is best to keep all logs under the cover of the roof. If a log is extending out beyond the roof line, consider covering the top of it in metal. 9.) Care of the interior of a log home. For the inside of a log home (and the outside), we are always careful to choose a light colored stain. It is easy to darken a log, but almost impossible to lighten it again. Before you purchase all of the stain for an entire home, try buying just a small amount of stain and experiment with it in a hidden place such as a closet. This way you can see what the color really will look like when applied to your specific home. Be sure to allow ample time for it to dry. The rougher the log surface the more stain that will be soaked up by the home. One new homeowner in Missoula, Montana was over zealous. She grabbed a can of stain she had used on furniture and applied it to all the closets, and one bedroom wall before she realized the logs were soaking up the ‘light’ colored stain much more that the smooth surfaces of the furniture did. The logs ended up a dark honey color. Especially on a round log profile, dust does at times settle on the top of the logs. The simple application of furniture polish to a non linty rag and then wiped across the log cleans the logs and removes the dust. In our homes we only had to do this at most once per year. 10). Extra exposure to sprinkler systems. Underground sprinkler systems and yard sprinklers should never be placed in such a manner that the logs get wet. Repeated exposure of the logs to water decreases the life of your home sealant rapidly. Be sure to direct the water away from the home. If it is windy be sure to check that the over spray is not touching the home. It might be better to wait until the wind subsides to continue irrigating. One home we built in Belgrade Montana, the sprinklers were left on a timer when the owners were away. When they returned home a month later it was easy to see where the over spray had touched the home and affected the stain. 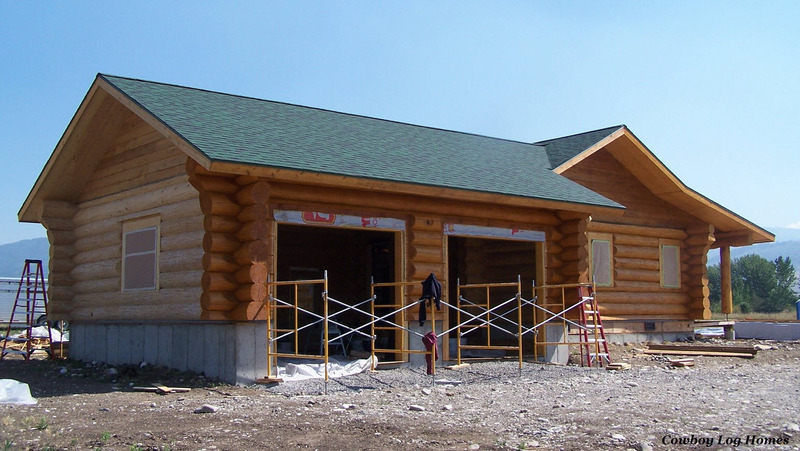 All in all log homes require minimal additional maintenance over standard frame construction. If log is truly the type of home you love, then maintaining it is just a good excuse to spend a little more time pampering it. If you stop to consider, some of the oldest home structures to be found are log.